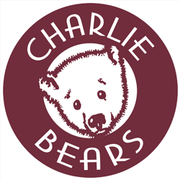 We would like to extend an invitation to you to come and visit us at The Charlie Bears Gallery & Shop based at The Bearhouse in the UK! This is a Charlie Bears Collector’s dream as this is where you can find all of the bear cubs which we have ever made fur-real. Take a step into our world and fully immerse yourself in the wonder and whimsy with which Charlie weaves into every creation. The final stage of our Gallery was opened on the 1st July 2016 and this was opened by Ms Elspeth Rose Meikle. It was truly a magical day as we collaborated with Make-A-Wish UK to make Elspeth’s wish come true as she got to officially open the Gallery and she also got a beary special bear cub designed for her by Charlie! Paws crossed that you can come and visit us beary soon!